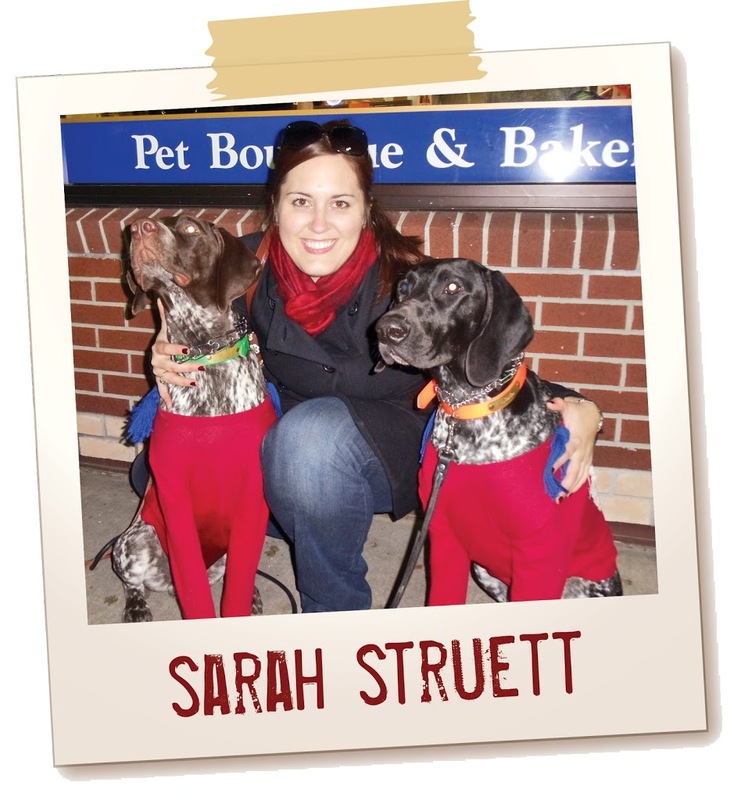 The Artisan Group is proud to announce today’s Artist Spotlight Feature is Sarah Struett of Four Black Paws! My passion for Four Black Paws all started in 2007 when I became a dog mom to my beautiful black lab, Leila. Since the day she became mine, it was a struggle to find any cute and “girly” collars to put her in. Even in the most expensive, most girly collars I could find, everyone would still mistake her for a boy. So, in 2010 I decided to borrow my mom’s sewing machine and give collar making a go for my little girl. I began making collars for her out of material that I found to be up to my standards for a girly girl. Later that year, my friends and family caught wind of what I had started doing and began putting in personal requests for colors and patterns. After I saw what a hit they were among friends and family I decided to start my own Etsy shop and that, as they say, is history (well, sort of!). In 2011 I became a part of The Artisan Group which has sent my business on an uphill climb! I recently added accessories for collars like bow ties and collar flowers along with cute and functional poop bag dispensers since, let’s face it, they aren’t the prettiest things to have to carry around! 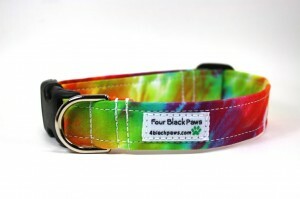 I have SO many favorites in my shoppe but right now my favorite is The Groovy Paw Dog Collar. This is the collar that Leila has been wearing for almost a year now…non stop! I think that this is my favorite because it has been an amazing collaboration experience with Shanna Torres of Shanna’s Tie Die to create this one-of-a-kind hand dyed fabric in which I make collars, flowers, bow ties and poop bag dispensers. Every piece I make comes out just a little bit different so no two pieces are ever alike. It is bright, fun and very groovy! When you’re not designing such adorable dog accessories, what are your hobbies? Wow, there are so many things I do when I’m not creating dog products! For starters, I am a 2nd grade teacher by day so that keeps me very busy during the school year. I am also a dog mom to two very energetic German Shorthaired Pointers named Cooper and Gunnar. We do a lot of competitions with them including dock jumping, weight pulling, conformation showing and hunting. We also just recently bought a house on about 5 acres of land so this year I’ve got a HUGE vegetable garden (along with my many other flowers gardens) and for my birthday this week (June 11) my amazing man built me a chicken coop so we can get chickens this year! Sarah recently participated as a display participant in the official talent gift lounge on October 29 – November 1, 2012 at The Bridgestone Arena in Nashville, Tennessee, in honor of the Nominees and Presenters of The 46th Annual Country Music Awards (CMAs).